and much, much more! Please have a look around, and feel free to contact us directly for additional information or simply to start the conversation. Begin with a free 30 day risk free trial! 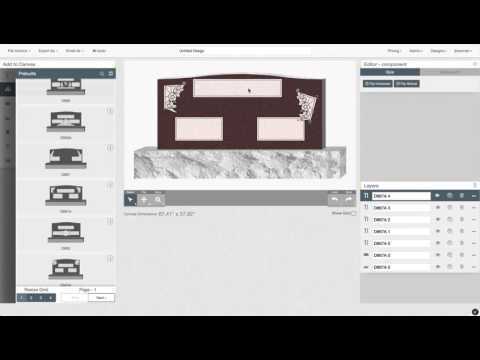 Design Mart's new Online Monument Designer and Online Catalog allow you and your customers to draw designs and email them instantly or search our catalogs for the ideal monument design. 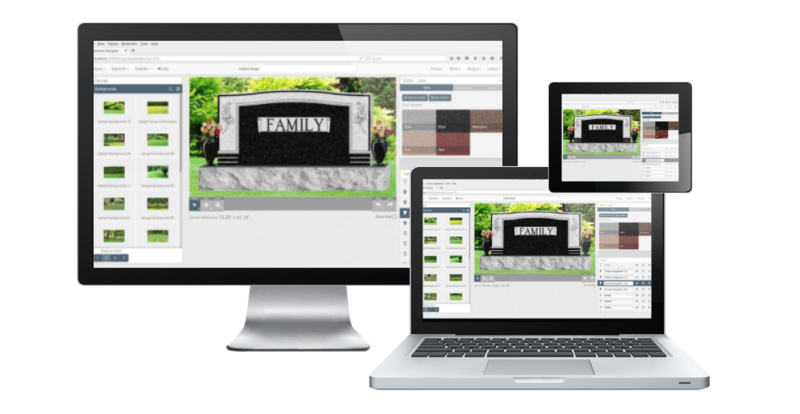 Design Mart's Online Catalog is included in your subscription to the Online Monument Designer and may be used in the office or in the home or cemetery - anytime, anywhere. Is there ever a time when you want to show your customers color renderings of their monuments, but you don't want to purchase any software or learn how to use a new program? If so, that's a good time to try our new Coloring Service. Design Mart's studio can match photos and rubbings of any stone for restoration or creating additional monuments for a family's cemetery space. Design Mart's studio has a number of file converters that convert scanned art from PhotoShop and other applications to vector formats (for CAD and illustration applications). Design Mart offers more than 3,500 vector designs for sandblast application on granite memorials. All artwork is v-lined at .09" and comes in a variety of sizes. For 40 years Design Mart has helped memorial counselors and manufacturers alike assist their clients in the creation of personal memorials. With more than 20 titles to choose from, we offer a design series to fit virtually any cemetery requirement or budget. Design Mart offers a variety of fonts in the GSF format for use with Gerber Scientific's Graphix Advantage and Omega applications, as well as several fonts in the TrueType(TM) format for use with your graphics applications. We offer a variety of machines with photos as well as retail monument brochures and catalogs. Systems import a variety of photo formats, and four models are available with a Y range up to 48" and a X range from 48" - 144". Impact Etching is a revolutionary technology, designed for use in the Monument Industry. All Impact Etchers are available with Design Mart monument sales brochures, catalogs and computer images. Not sure where to begin when it comes to hardware, etchers, and engraving? Read our side-by-side comparison here, and contact us if you have any questions, we would love to answer them for you.